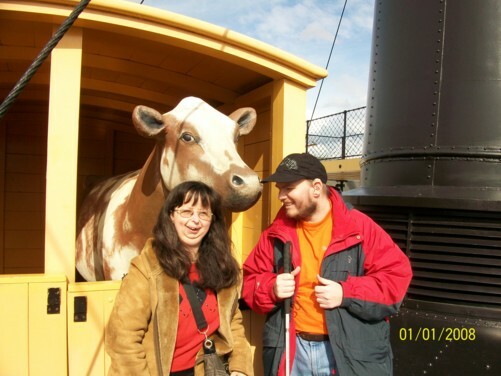 Tony and Tatiana and cow on SS Great Britain. 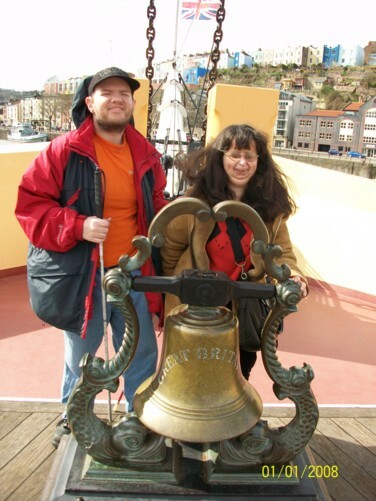 Tony and Tatiana and ship’s bell, SS Great Britain. 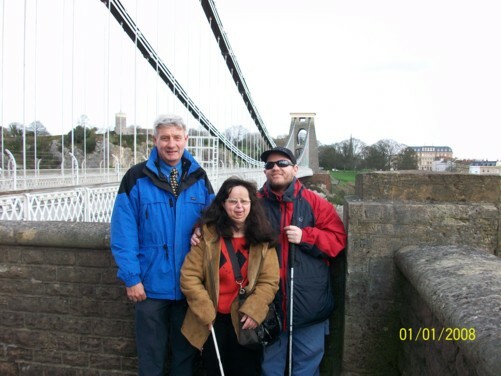 Spud, Tatiana and Tony, Clifton Suspension Bridge. 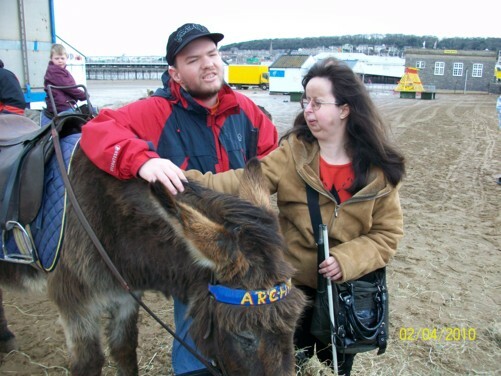 Tony, Tatiana and donkey, Weston-super-Mare beach. 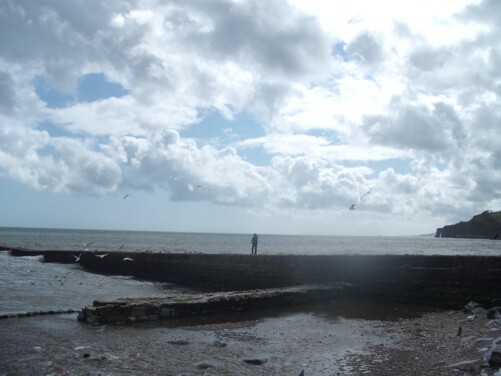 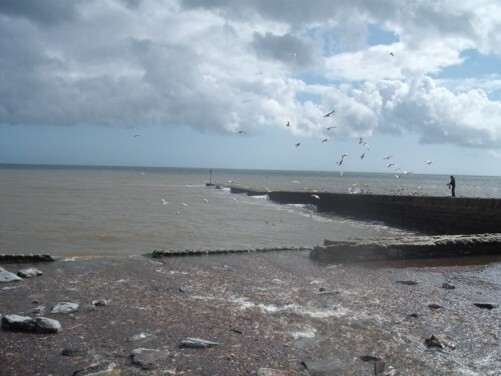 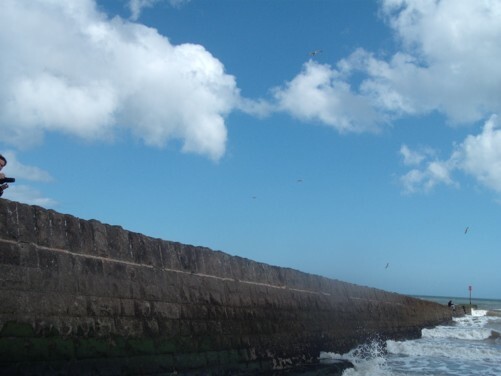 Tony and Tatiana, sea wall, Dawlish. 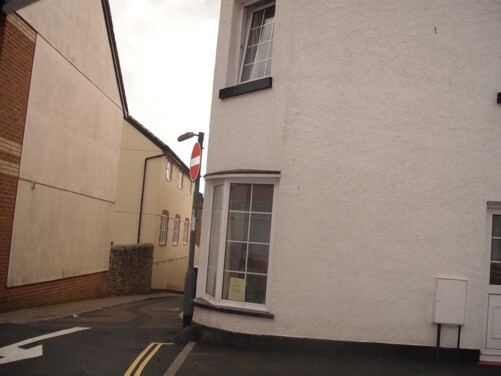 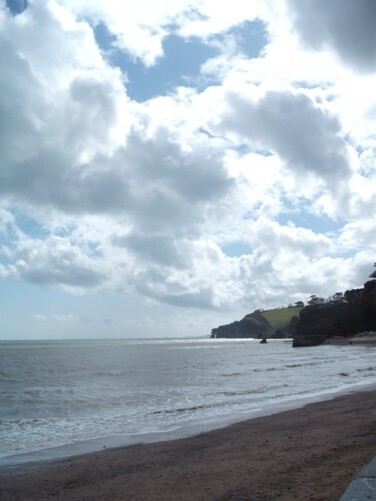 View out to sea, Dawlish. 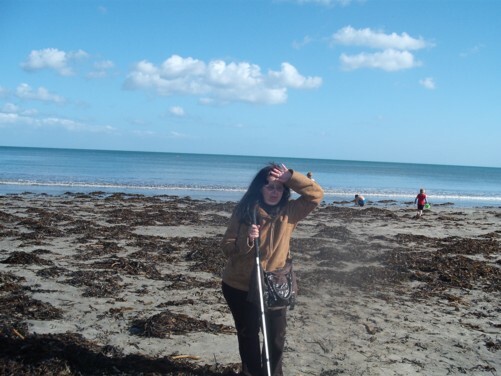 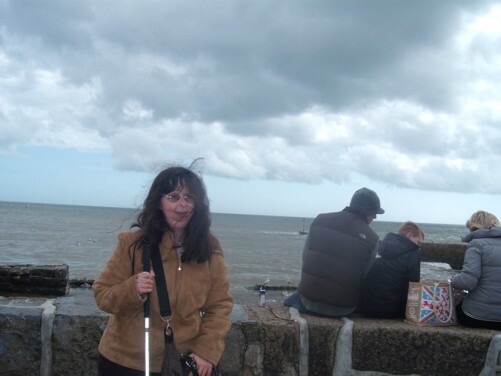 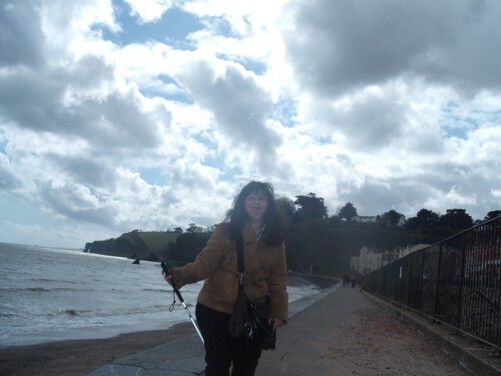 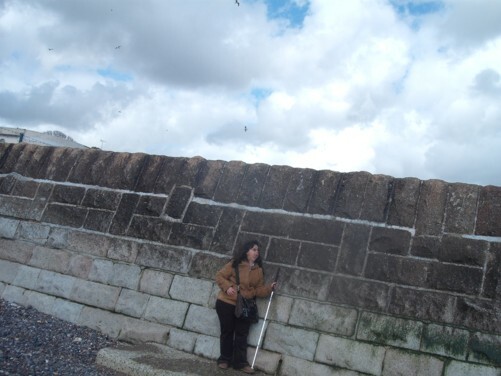 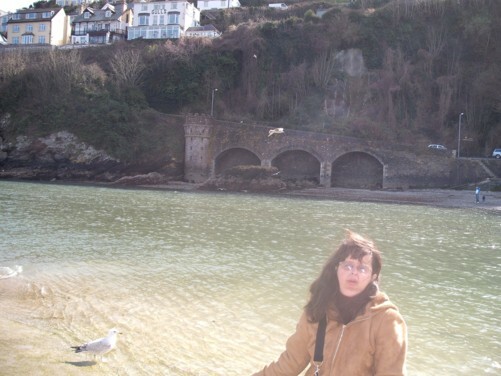 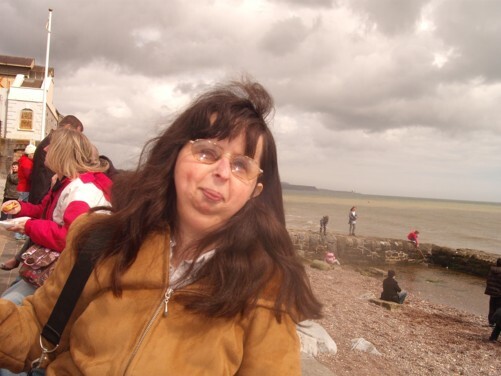 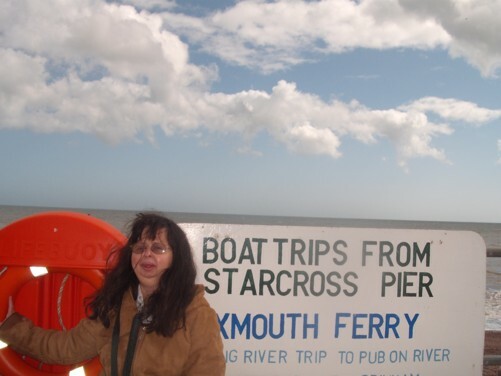 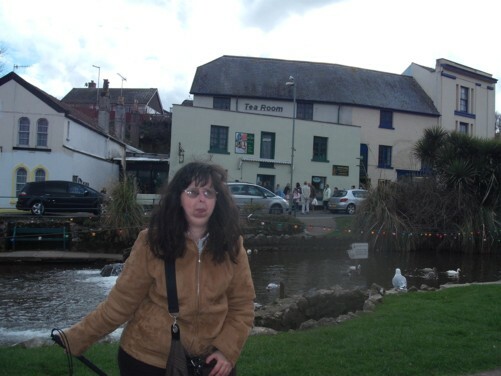 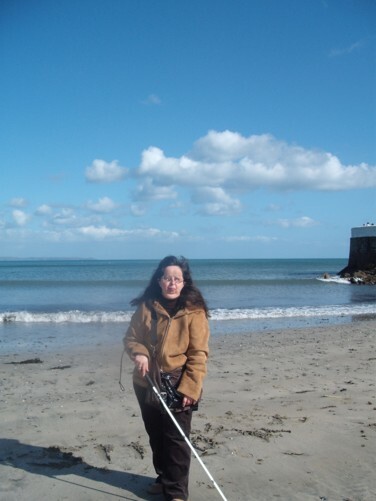 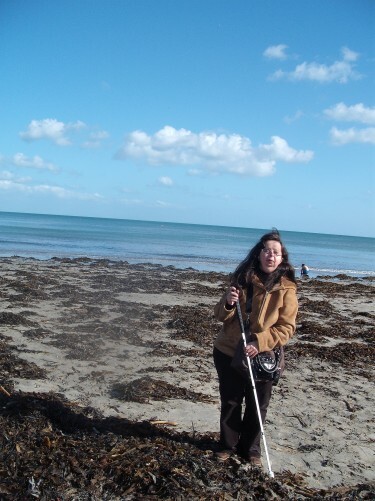 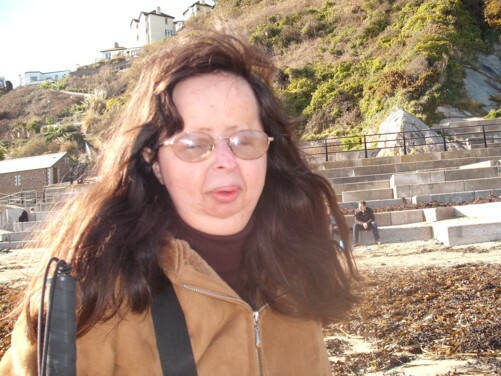 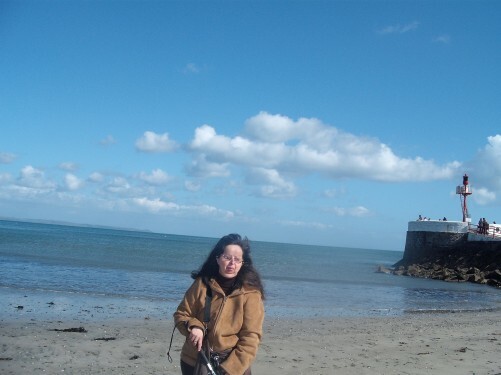 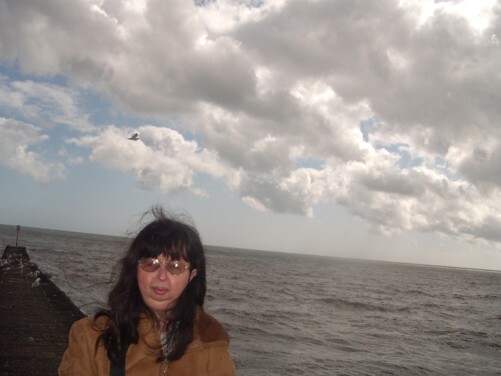 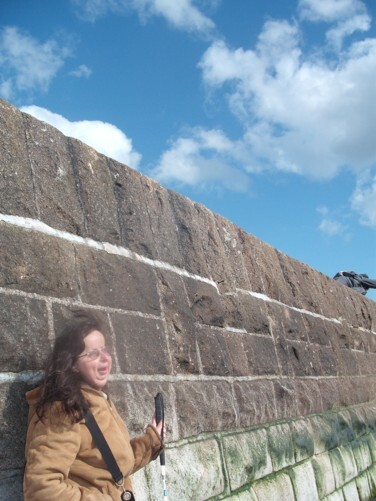 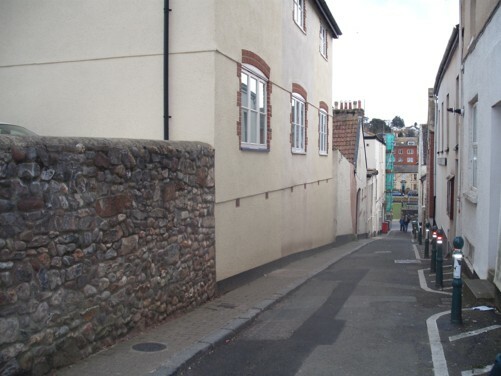 Tatiana, sea wall, Dawlish, Devon. 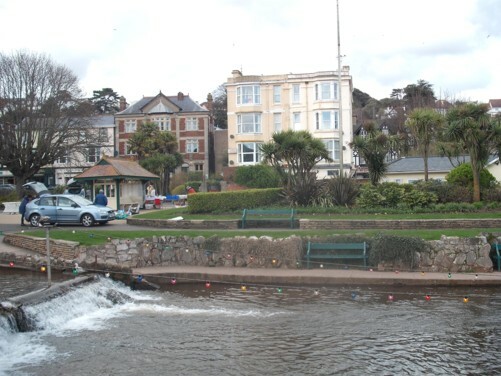 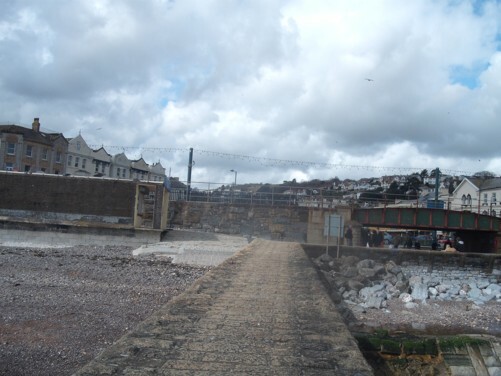 View of railway line and bridge from Dawlish beach. 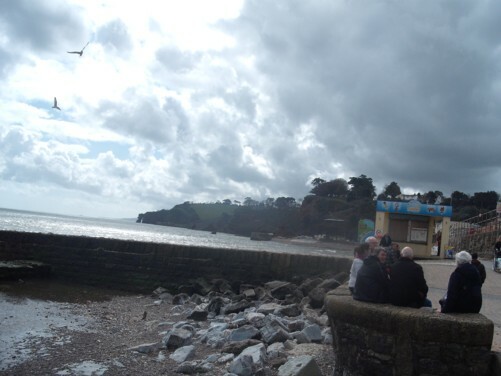 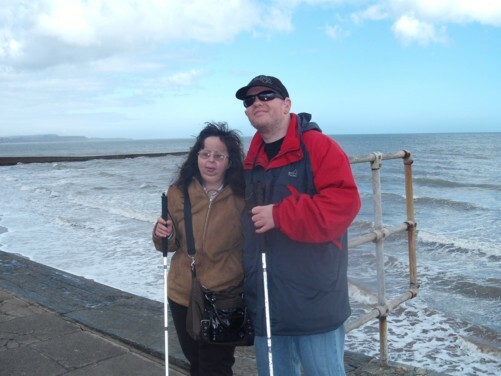 Tony and Tatiana, seafront, Dawlish. 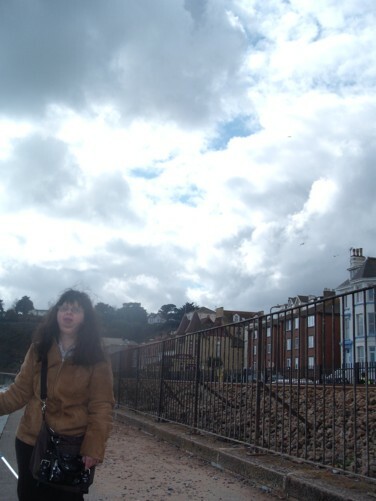 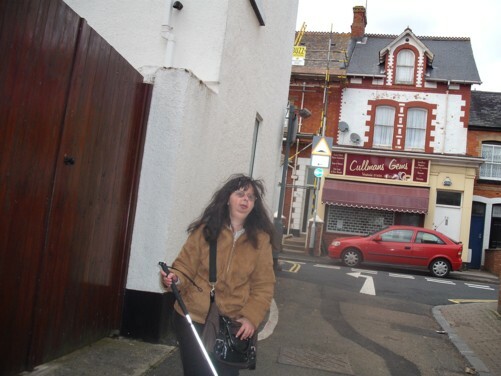 Tatiana, railway line, Dawlish seafront. 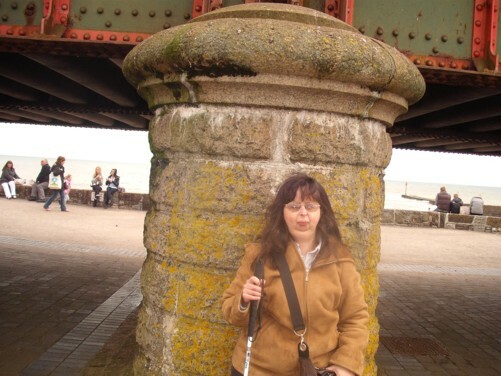 Tatiana and Tony, sea wall, Dawlish. 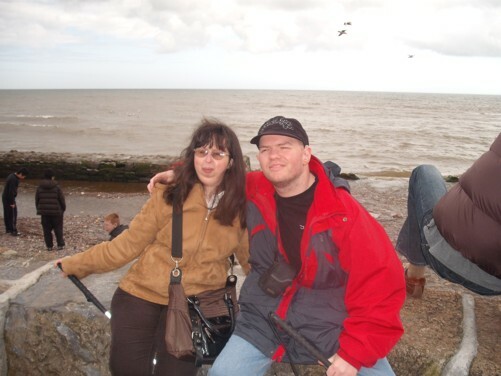 Tony and Tatiana, Dawlish park. 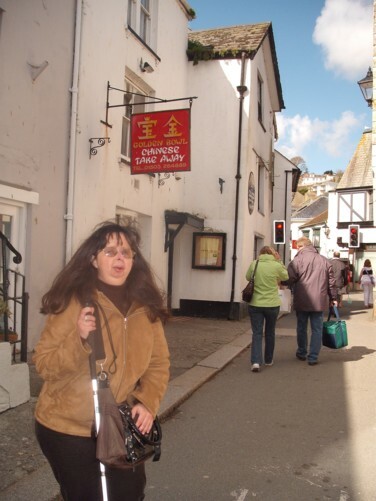 Looe, a small fishing town in Cornwall, England. 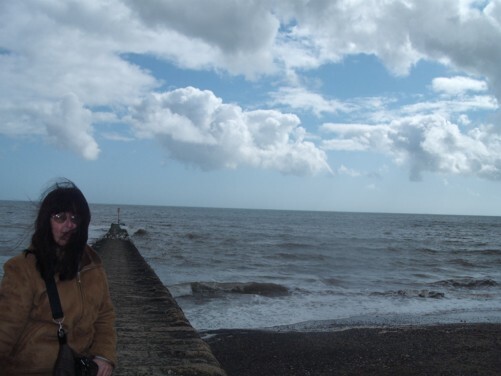 Wednesday 7th April. 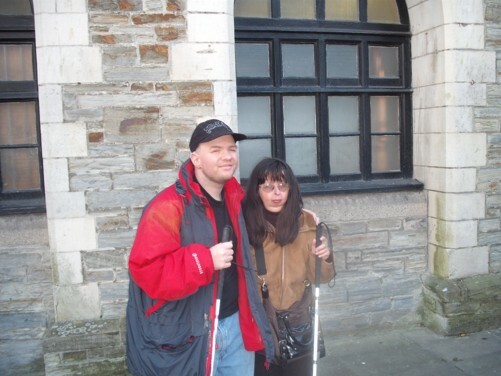 Tony and Tatiana outside the town hall. 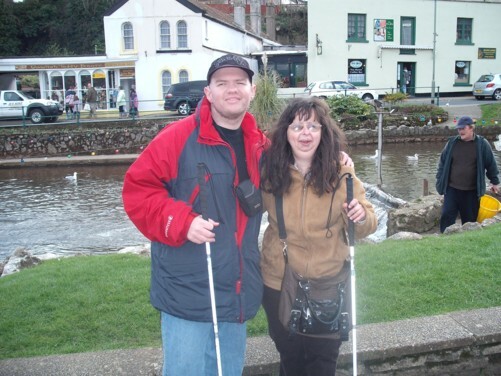 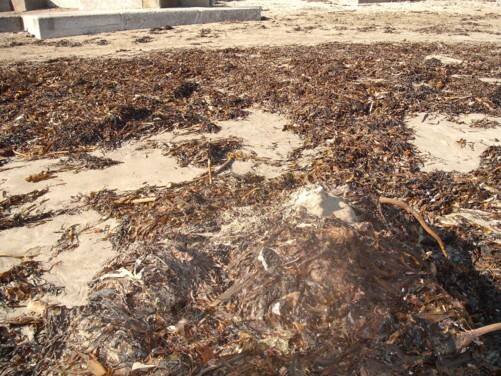 Tony and Tatiana, Looe river front, Cornwall. 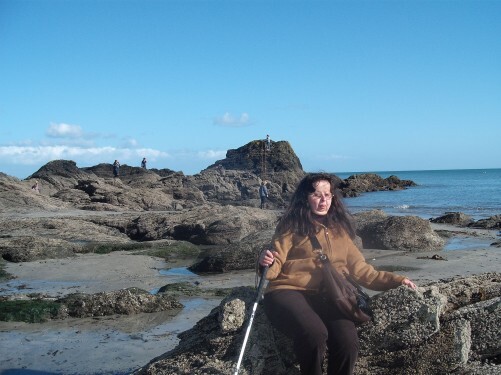 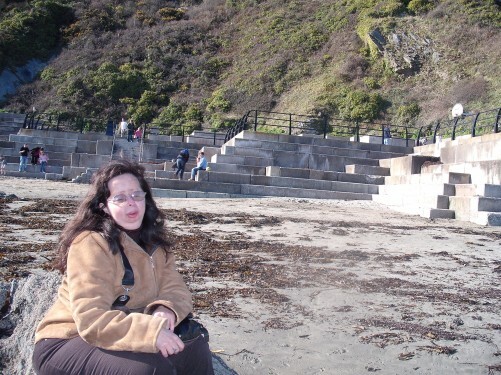 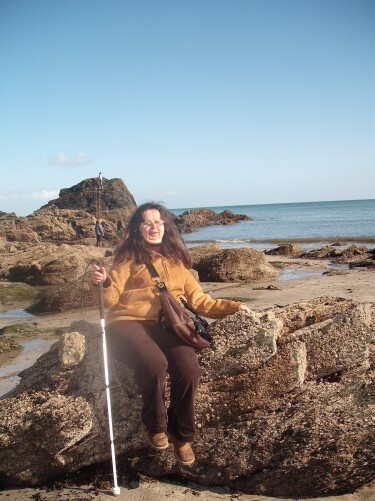 Tatiana on rock love seat, Looe beach.